Research indicates that while vitamin C is not effective in preventing colds (except in those whose bodies are subjected to intense stress, such as athletes and soldiers in harsh climates), it can shorten their duration and reduce the severity of symptoms. Vitamin C is also critical to the healing of injuries and reduces the risk of cancer, stroke, and many other diseases. These RDAs are the bare minimum required to prevent vitamin C deficiency – they do not provide enough ascorbic acid to promote optimum health or prevent diseases not directly caused by a vitamin C deficiency. For optimum health, the Linus Pauling Institute recommends an intake of at least 400 mg of vitamin C per day for healthy, non-smoking adults. 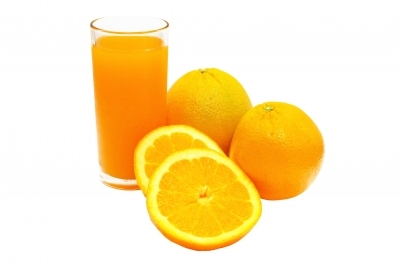 Adults consuming more than 2,000 mg of vitamin C per day risk developing nausea, diarrhea, and kidney stones. Most research indicates that very high doses are not necessary and do not help to prevent colds or flus. Even when treating a cold or flu, the majority of experts agree that there’s no need to go above 500-1,000 mg for adults, though there are a few who assert that higher doses are required. Contrary to a couple of sensationalistic media reports based on a flawed study, Vitamin C does not cause cancer. However, it may interact adversely with certain medications and medical conditions. Consulting a health care professional before taking supplements is recommended, particularly for those who take medication. There are many different types of vitamin C supplements available, and there is no solid scientific evidence indicating that one form is more effective or better absorbed by the body than another. There are also no indications that either natural or synthetic forms are superior when it comes to bioavailability or biological activities. Supplements should be taken with meals. Ideally, foods rich in vitamin C should be eaten either raw or only slightly cooked, as vitamin C is heat-sensitive. Oxygen also depletes the vitamin once fruits and vegetables have been chopped or sliced. Choosing whole produce from local farmers’ markets and eating it right after it has been prepared increases the likelihood of getting a good dose of vitamin C.
Balz, F., PhD. (2001). “Vitamin C Doesn’t Cause Cancer.” Linus Pauling Institute, LPI.OregonState.edu. Higdon, J., PhD., Reviewed by Frei, B., PhD. (2006). “Vitamin C.” Linus Pauling Institution Micronutrient Information Center. LPI.OregonState.edu. Hitti, M. (28 June 2005). “Vitamin C May Not Fight the Common Cold.” WebMD.com. University of Maryland Medical Center. (2009). “Vitamin C (Ascorbic Acid).” UMM.edu. United States Department of Agriculture: National Nutrient Database.